Get high quality product assets as well as tools for designing and visualizing them in a real-world environment. Chameleon Power offers a full suite of services for products, providing both the high quality assets needed for effective marketing and the tools to design, configure, and simulate custom products. We take the hassle out of managing and maintaining your digital assets. to replace physical samples at less than half the cost. 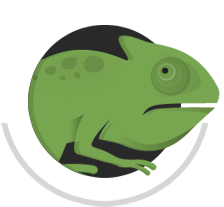 Chameleon Power complements its product tools and services with a full suite of compatible software. The team continually works to improve these tools and develop better solutions for client needs. Color accurate photography and print services to showcase your products. 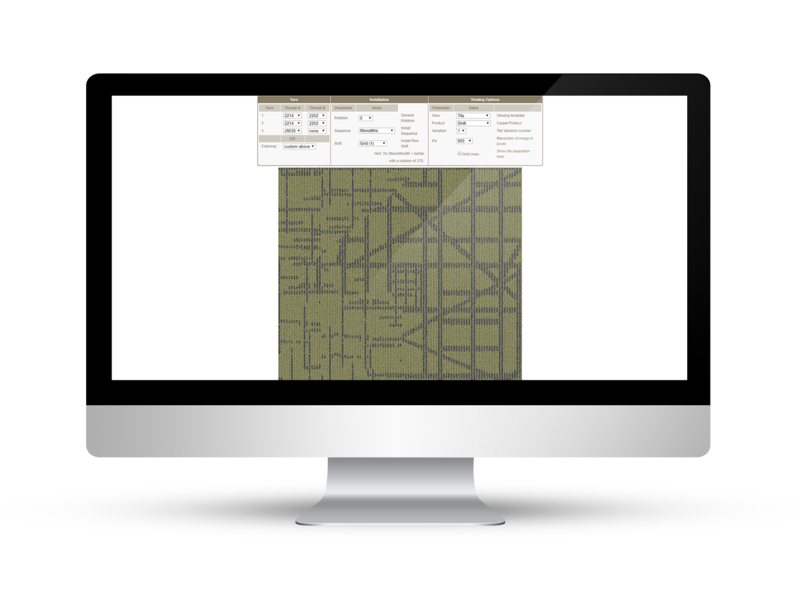 Design your own custom product patterns and blends. Simulate your product choices in a real-world environment. Check out a few of our Product Tools. Chameleon Power’s configuration and visualization technology is used in a wide variety of different industries. Chameleon's most recent VR experience places the user inside of a Home Depot store looking down an aisle at a variety of tiling products. The user can then select and change the options overhead to view the details of their preferred products up close. Chameleon Power's 3D software allows the user to design their ideal space and provides a fun and memorable experience. In this tool, customers place a home in the virtual world and design the landscape around it, placing objects individually where they see fit. Chameleon Power's online and mobile photographic visualizers simplify and expedite selections by letting the customers view actual products in real-world settings. Chameleon Power's new technology combines AR with 3D visualization. 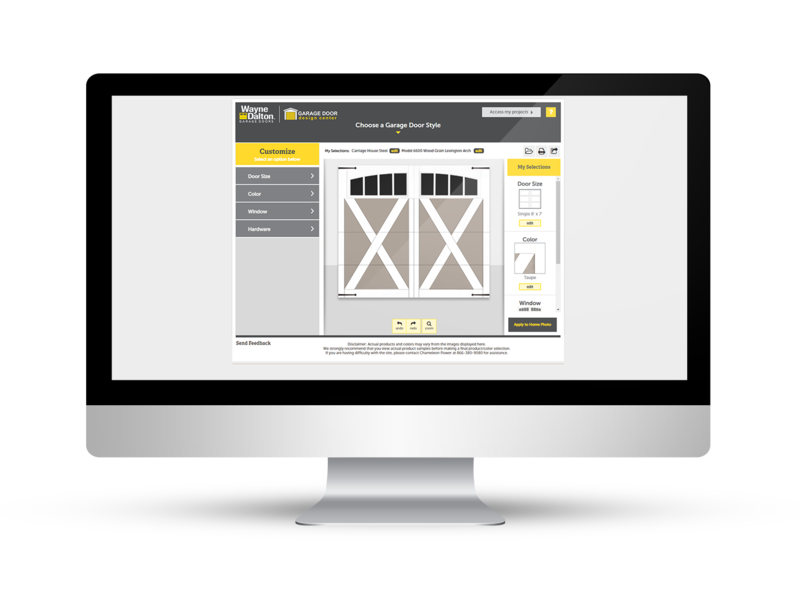 Our software gives builders everything they need to market and sell more effectively and assists homebuyers through the entire design and selection process. Click on the image to learn more. 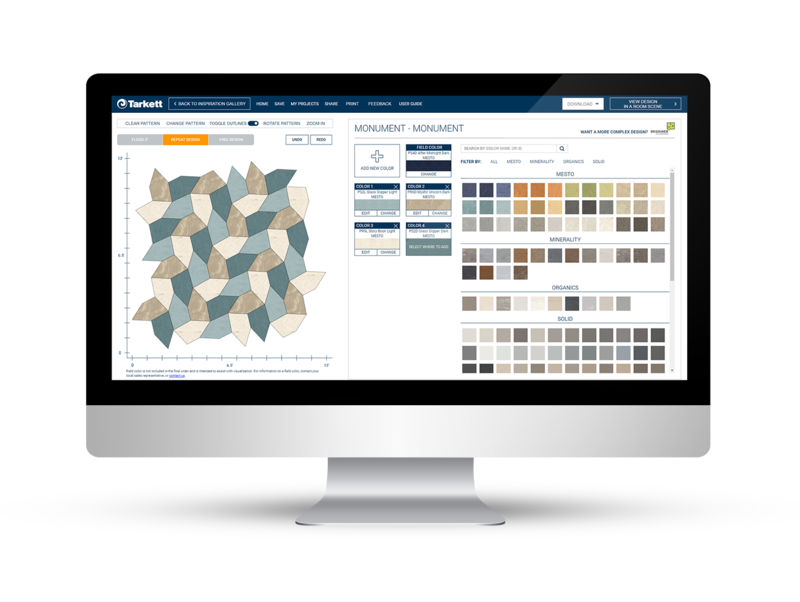 Chameleon Power visualization technology lets you select products and colors for your roofing project. When you’re done choosing, view the results in photo-accurate detail. Test options for your project in a digital environment to be confident in the outcome – before you buy! 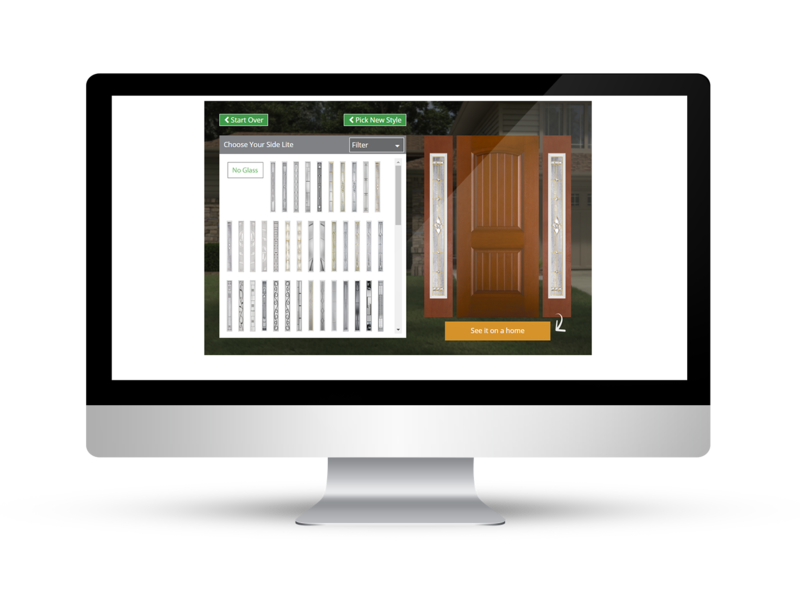 Chameleon Power client Masonite uses a lifestyle and interest quiz to profile customers, then offers a targeted selection of products in a Virtual Reality environment that matches the customer’s profile. The customer can then design and visualize their ideal outcome. Laminate, vinyl, hardwood, tile, stone, granite, solid surface – any material you can imagine, on any surface, from the floor to backsplash to countertops and more - can be designed and experienced in an immersive Chameleon Power Virtual Reality environment. See what your remodeling project will look like when completed before you even start the work. Select products for roof repair, re-roofing or a newly constructed roof and see the results from nearly any angle and any perspective in a Chameleon Power Virtual Reality design environment. 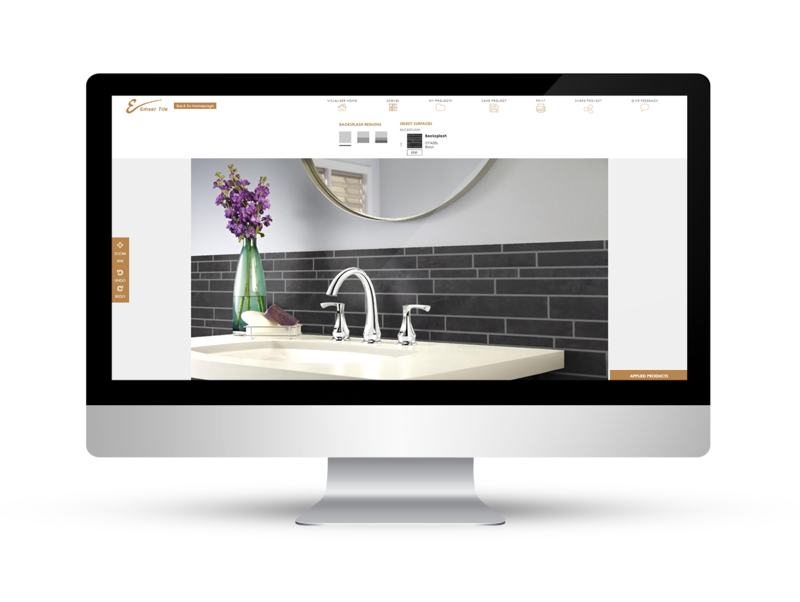 Chameleon Power visualization technology lets you select products and colors for any surface or component in your bathroom model, then view your results in a photo-realistic digital environment. 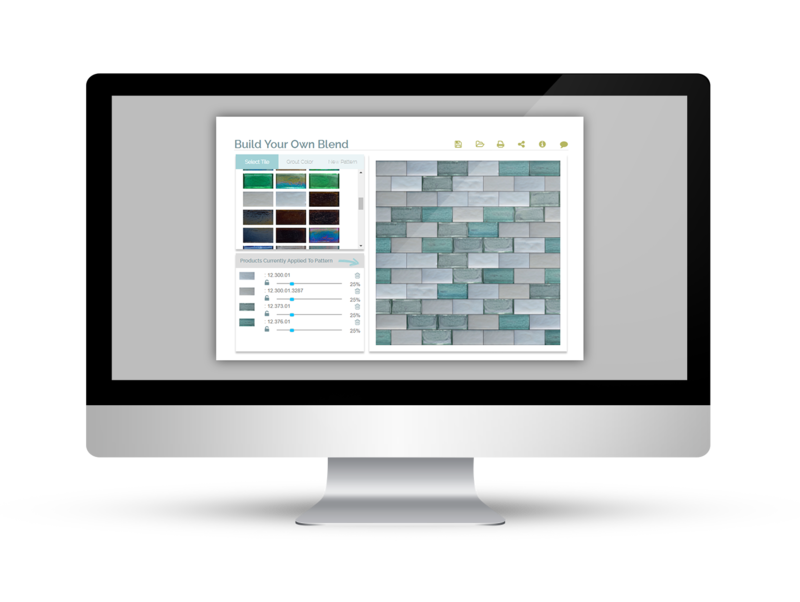 Try your remodel digitally before you buy! Laminate, vinyl, hardwood, tile, stone, granite, solid surface – any material you can imagine, on any surface, from the floor to backsplash to countertops and more - can be designed and experienced with photorealistic accuracy with a Chameleon Power 3D project visualizer. See what your remodeling project will look like when completed before you even start the work. Use Chameleon Power's configuration and visualization software to help your products look good in all platforms. 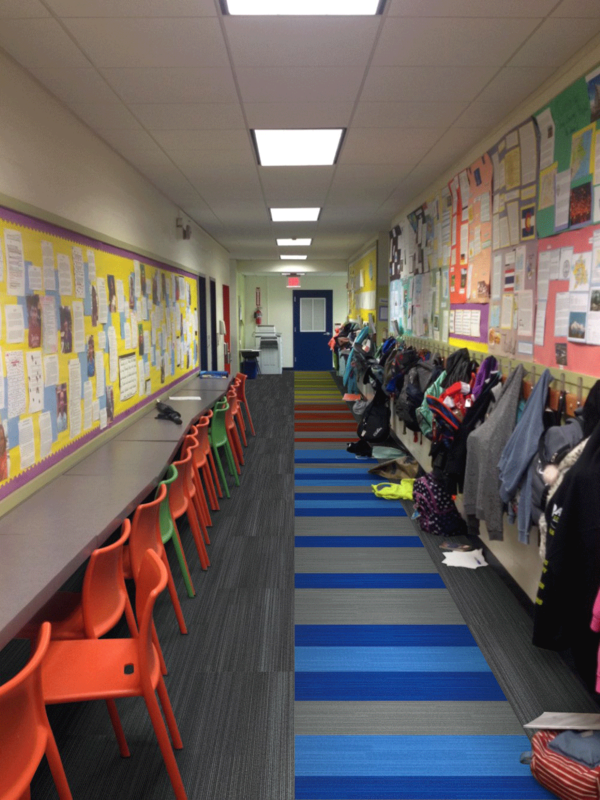 Laminate, vinyl, hardwood and other flooring surfaces can be designed and experienced with photorealistic accuracy with a Chameleon Power interactive project visualizer. 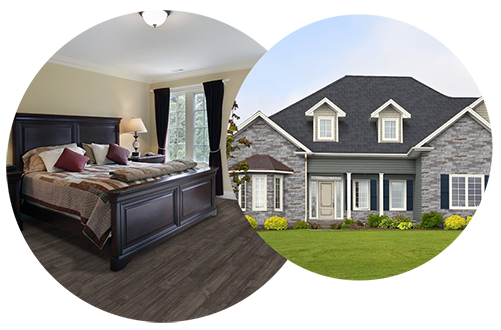 Design your flooring and see what your remodeling project will look like when completed before you even start the work. Test products, colors, materials and design options on the fly on any device, in any platform. Driveways, and other concrete building and remodeling projects, can cost thousands of dollars. 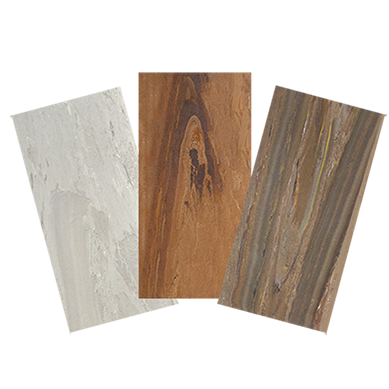 Make sure you’re happy with your choices in advance by designing and visualizing concrete options, from aggregate to stamped, matte to gloss, in a Virtual Reality environment. 3D Reprojection technology allows contractors to photograph the area to be remodeled, upload the photo to the Chameleon Power application, and then work with the home owner to select products and materials and explore different design options. The home owner will be able to accurately visualize their completed project before the contractor even picks up a tool. Part of Chameleon Power’s Builder’s Toolbox, the digital selection guide helps the home buyer to select and organize home options and upgrades. The guide is accessible to both the builder and buyer in real time. Photorealistic kitchen design online. Select and view materials in standard room scenes, save and share your work. Visualize what your project will look like when it’s finished – before you even start. Part of Chameleon Power’s Builder’s Toolbox, our lead generation visualizer allows the builder to set up communities with home models and basic options. Potential buyers can view the community online, select a model they are interested in, and decorate it. The potential buyer can save and share the design. The builder receives details as a sales lead. Chameleon Power’s Augmented Reality application for home builders and real estate agents lets potential home buyers try out their desired house on any lot in the community. Chameleon Power virtual reality environments make it easy to visualize flooring and carpet designs for commercial and residential projects. Interior design in Virtual Reality – select pieces from a catalog, easily arrange furniture in the room, and view your final design. Chameleon Power’s latest project for deck design in Virtual Reality. Users can select decking materials, design, change colors and even add furniture and accessories to create a complete, finished look – before buying. Our latest Virtual Reality environment for commercial office spaces. 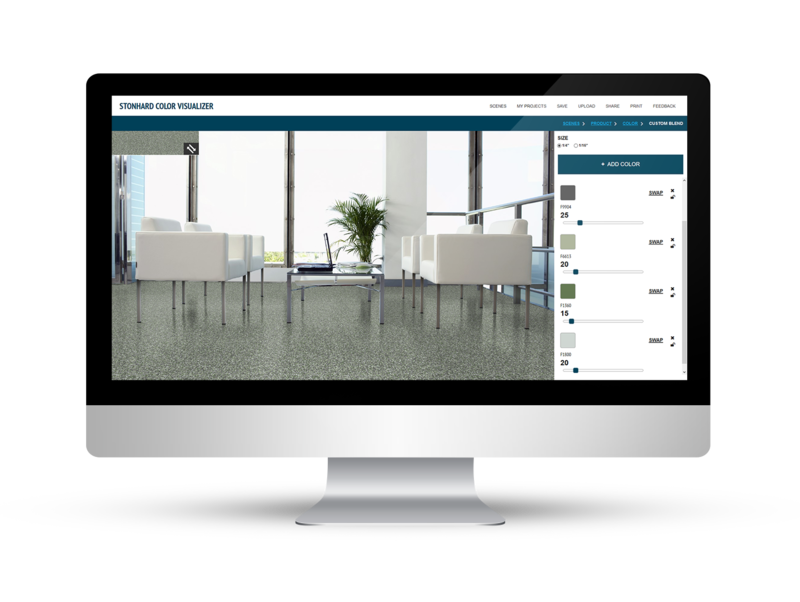 Configure, design and simulate product selections including glass, flooring, coatings and more. Reconfigure as much as you want to get the perfect design. 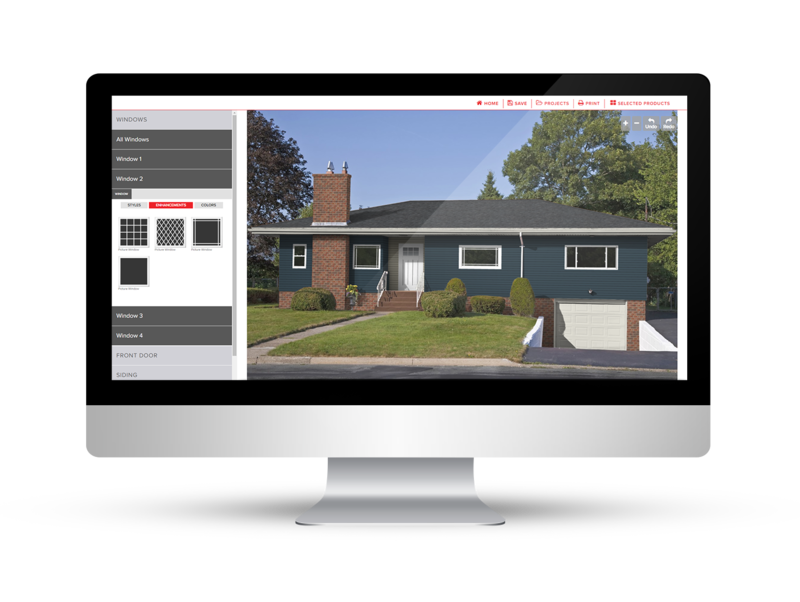 Customers use Chameleon Power software to visualize options for windows and glass in Virtual Reality to feel more confident about their product choices before building, remodeling or renovating. Color expert Phil Kenyon reviews the basics of Chameleon Power's color palette tool, Digital Fan Deck. Color expert Phil Kenyon reviews the basics of Chromalyzer in this 7 part series. Overview of Chameleon Power's Mobile Apps Sector With Blair Adams. Overview of Chameleon Power's Web Tools sector with Carey Roberts. Learn how to use Equinox's Louvered Roof Software. 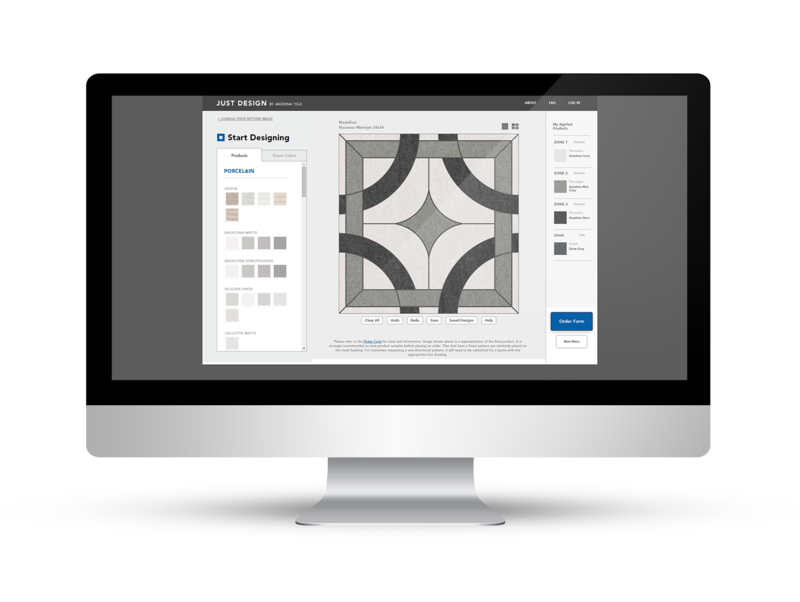 Chameleon Power's Interface Floor Designer tool allows you to build your own carpet patterns or select from templates to design a one-of-a-kind product.